An easy to use, all-natural pelleted fertiliser for healthier, more productive vegetables, fruit and shrubs. 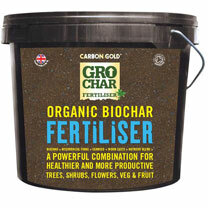 15% GroCher (Biochar + Mycorrihizal Fungi + Seaweed + worm casts) Plus a fully organic blend of plant nutrients. N-P-K 5-5-5. A balance of nitrogen for overall growth; phosphate to promote root growth and potash for abundant flowering and fruiting. 5% N 5% P2O5 5% K2O. 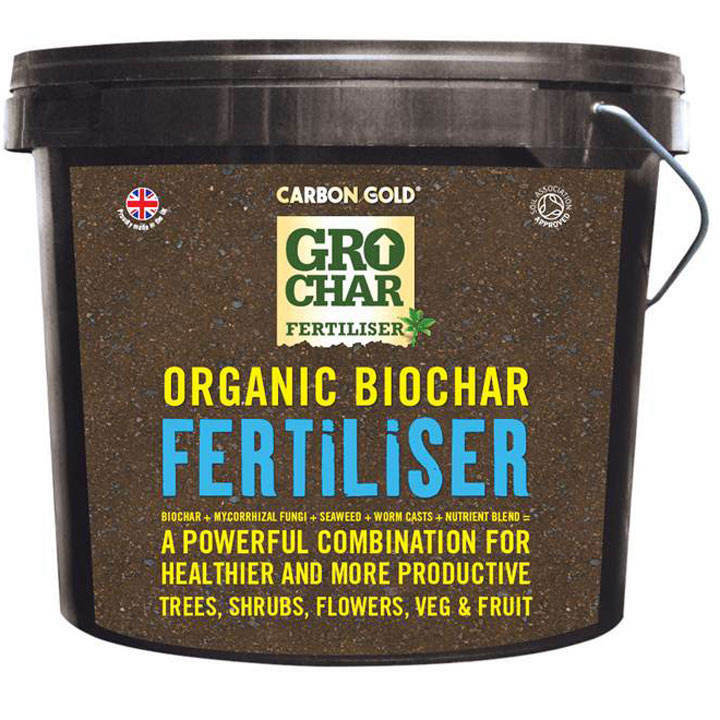 Carbon Gold Grochar® - Produced in the UK by a clean technique which captures up to 70% of the carbon otherwise released into the atmosphere. Improves soil structure, retains nitrogen and absorbs carbon from the air. Enriched with mycorrhizal fungi, seaweed and wormcasts, to provide a strong fertile base for plants to flourish.